Locally Traded, Dealer Serviced, Accident Free, 6yr/120,000km warranty, Mercedes Benz Star Certified, Equipped with Premium Package, Keyless GO, Rear View Camera, COMAND Online Navigation, THERMOTRONIC Automatic Climate Control System, Passive Blind Spot Assist, Artico Leather Interior, Heated Front Seats, 24 Hour Roadside Assistance, 5 Day/500kms exchange privilege. At Mercedes Benz Oakville, online sales are a cornerstone of our business, we believe in complete transparency, so all of our Pre-Owned vehicle include a complementary Carproof Vehicle History report, 150 point mechanical inspection and are completely reconditioned in advance of your visit. Please CALL, 1-888-839-2240, for complete details and to arrange a demonstration DRIVE!! HST and applicable license fees extra. Mercedes-Benz Oakville has been awarded the 2011, 2012, 2013, 2014, 2015, 2016 and 2017 Star Dealer Award. Holding this prestigious accomplishment for a record 7 years in a row! We are committed to preserving the performance, safety, reliability and long-term value of your Mercedes-Benz. Buying a Mercedes-Benz is the beginning of a lifelong partnership. Please visit our dealership to experience our service for yourself. *First 3 payments waived on all 2014-2017 Star Certified Preowned vehicles, to a maximum of $500 per payment ($1500 total value). Locally Traded, Dealer Serviced, Accident Free, 6yr/120,000km warranty, Mercedes Benz Star Certified, Perfectly Equipped with Premium package, Premium Plus Package, Sport Package, LED Lighting System, Open Pore Dark Ash Wood Trim, Heated Steering Wheel, 360 Degree Camera, SIRIUS Satellite Radio, Panoramic Sunroof, COMAND Online Navigation, Rear View Camera, Easy Packge Power Tailgate, Heated Rear Seats, Keyless GO, Parktronic With Active Parking Assist, Power Passenger Seat with Memory, 19" Himalaya Grey Aruba Wheels, AMG Styling Package, AMG Exterior Package, Adaptive HIgh Beam Assist, Active LED High Performance Headlamps, 24 Hour Roadside Assistance, 5 Day/500kms exchange privilege. 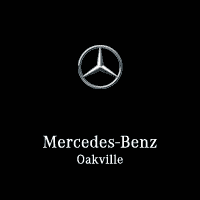 At Mercedes Benz Oakville, online sales are a cornerstone of our business, we believe in complete transparency, so all of our Pre-Owned vehicle include a complementary Carproof Vehicle History report, 150 point mechanical inspection and are completely reconditioned in advance of your visit. Please CALL, 1-888-839-2240, for complete details and to arrange a demonstration DRIVE!! HST and applicable license fees extra. Mercedes-Benz Oakville has been awarded the 2011, 2012, 2013, 2014, 2015, 2016 and 2017 Star Dealer Award. Holding this prestigious accomplishment for a record 7 years in a row! We are committed to preserving the performance, safety, reliability and long-term value of your Mercedes-Benz. Buying a Mercedes-Benz is the beginning of a lifelong partnership. Please visit our dealership to experience our service for yourself. *First 3 payments waived on all 2014-2017 Star Certified Preowned vehicles, to a maximum of $500 per payment ($1500 total value).